Hello friends and I hope you had a lovely weekend. I’m posting this from Helen. 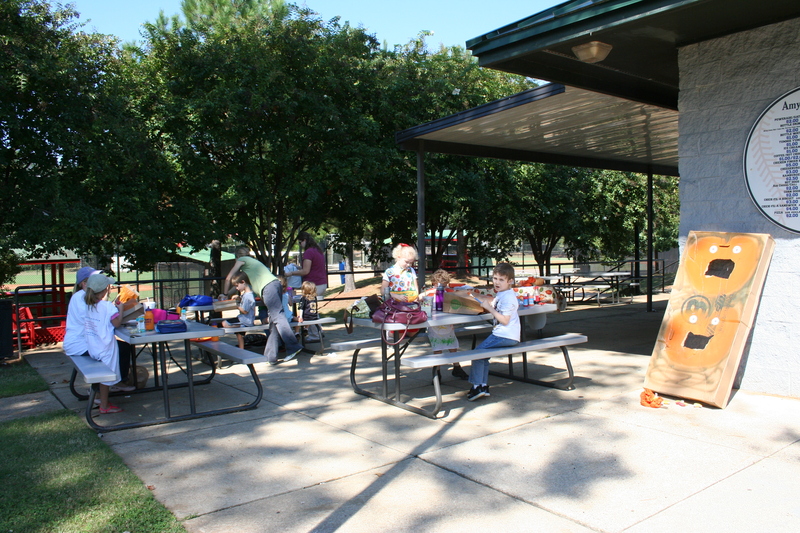 Last week, we celebrated Sukkot. Our homeschool week was a bit different. 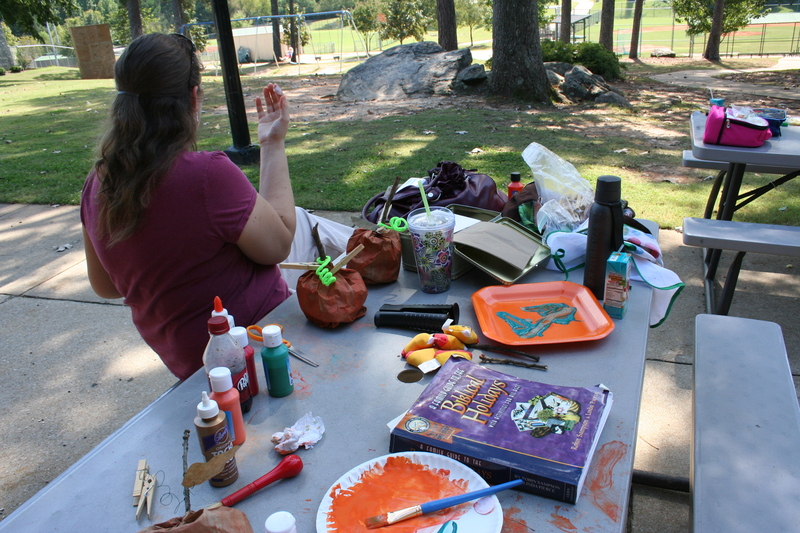 Tuesday we went to the pottery place to paint things for Sukkot (a family tradition). Thursday I hosted our homeschool group. Michael got to stay up later during the week because he slept in the living room under our camo net sukkah lol. 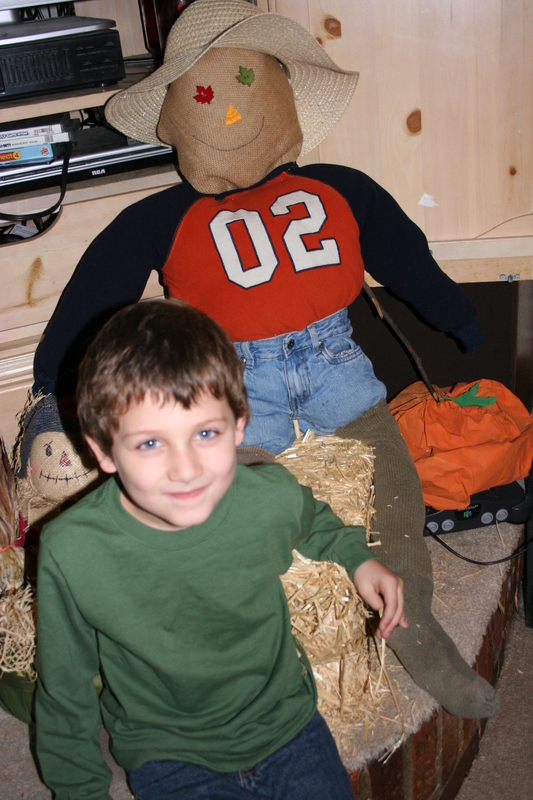 We made a homemade scarecrow. I took the apples off the apple tree in our school room and now we have a fall tree with pumpkins at the bottom. 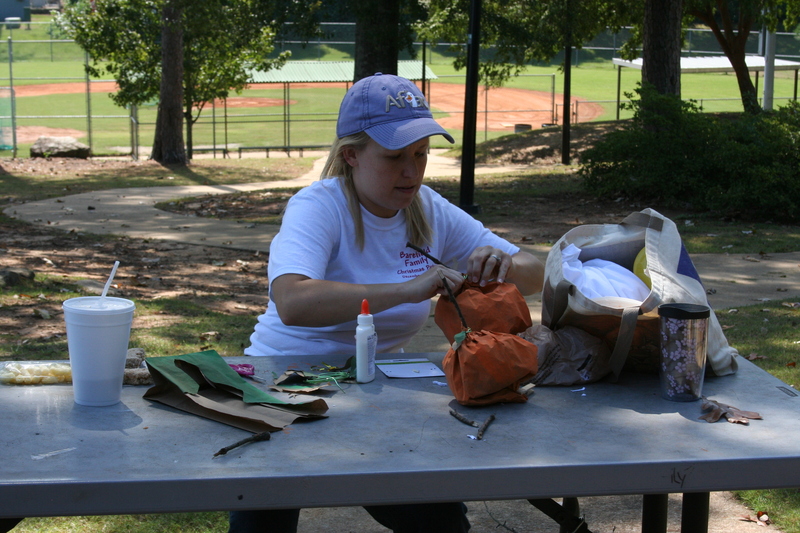 We still have to make the leaves for it. 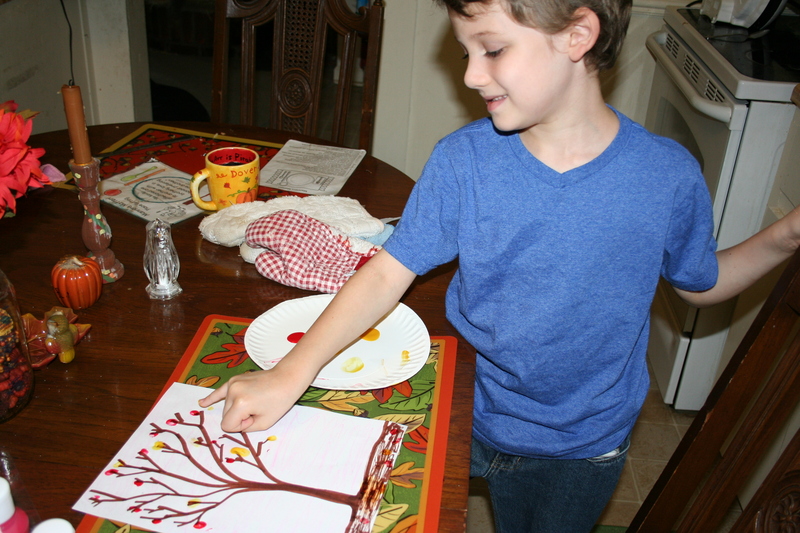 Michael made a fingerprint fall tree. 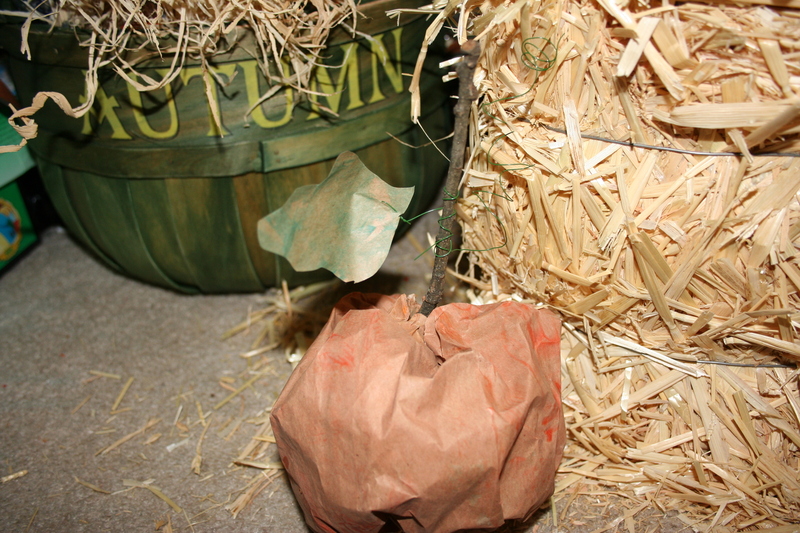 The first night of Sukkot my true love gave to me, a partridge we made a scarecrow. 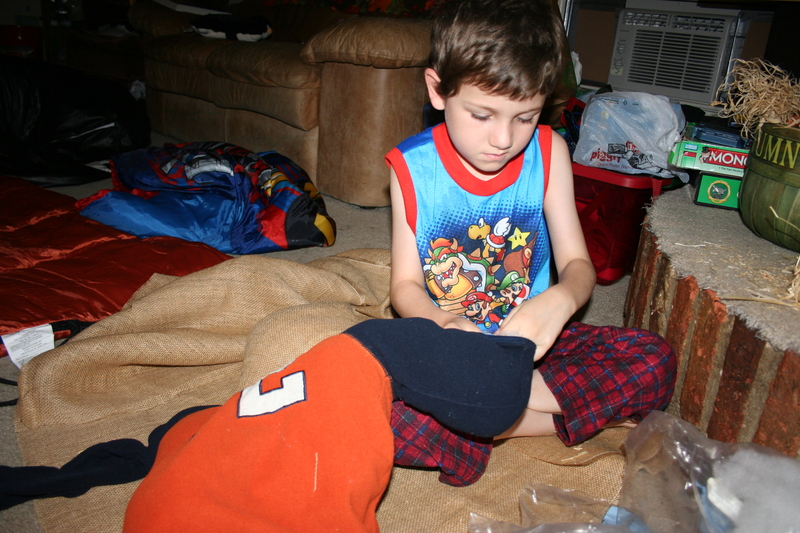 Basically, we stuffed pillow stuffing into burlap and Michael’s old clothes (Chris’ socks). It’s held together by staples and it’s sewn with fishing line. Button leaves for eyes and felt for the nose. He’s wearing my sun hat. 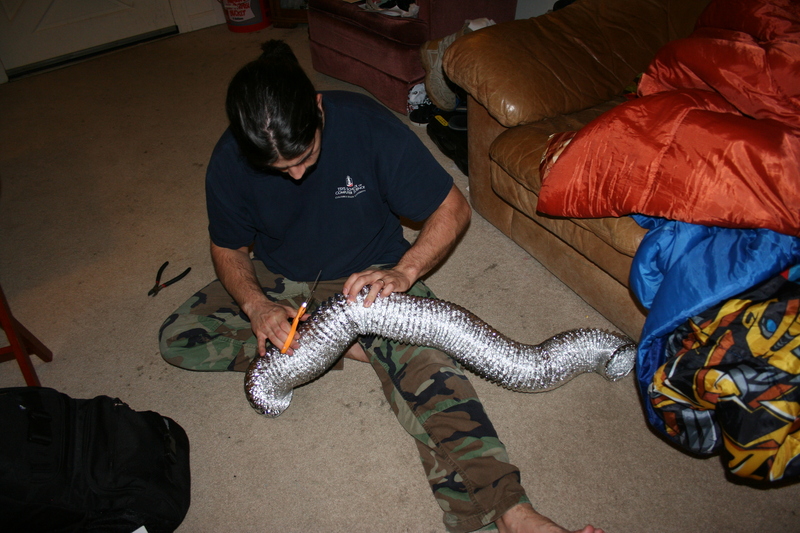 Chris and I put together this dryer tube pumpkin. 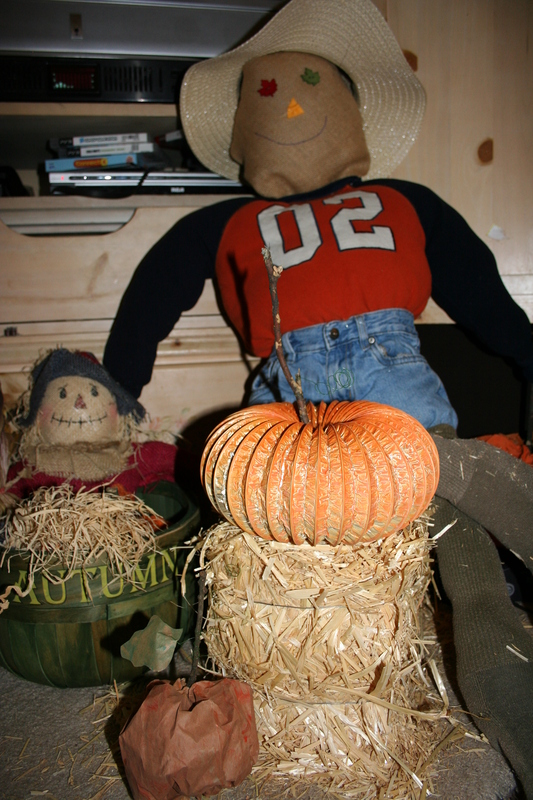 We put them together to make the pumpkin shape and I sewed them together with fishing line. 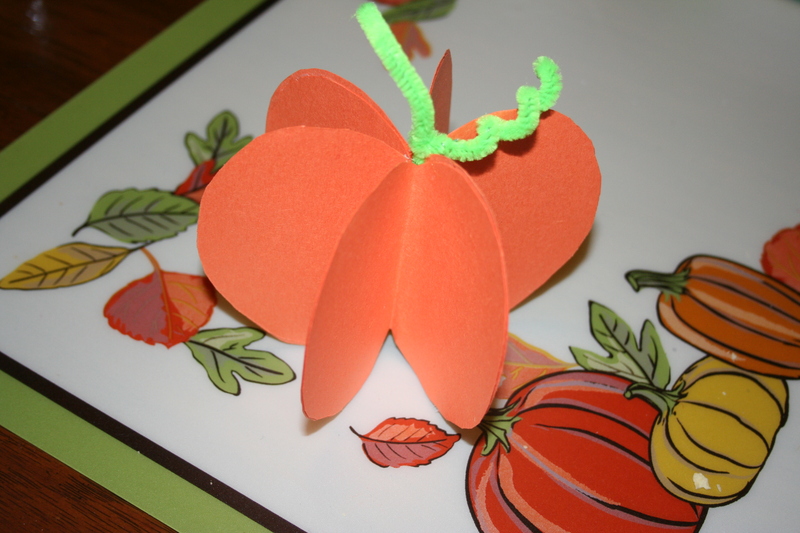 This is a 3d paper pumpkin made of construction paper and a pipe cleaner. 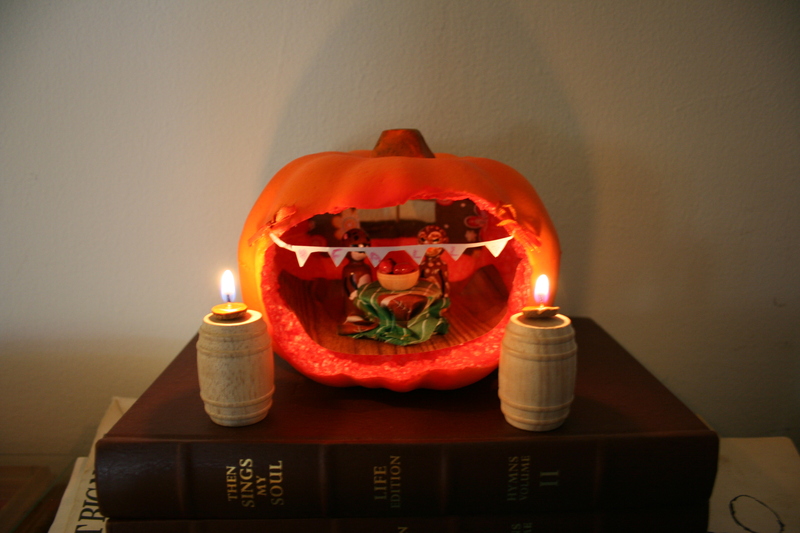 I made these acorn candles for our pumpkin diorama. Michael helped me find the acorn caps. I cut some wicks and used a spoon to get the hot wax from my candle warmer. They really work! 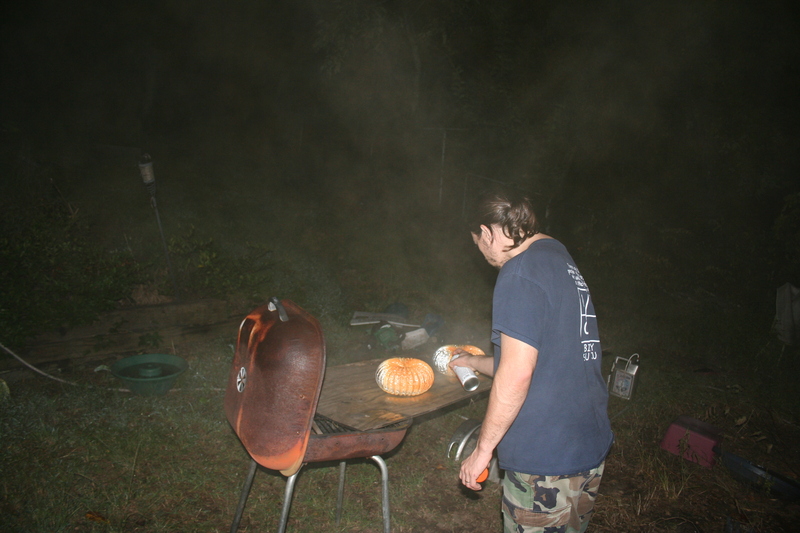 I carved a large circle in the front of a styrofoam pumpkin (from Dollar Tree). I also carved a square in the back of it for a window. I took contact paper that looks like wood and cut enough for the floor. I used tooth picks for the window panes. I cut a bit of fabric for curtains. 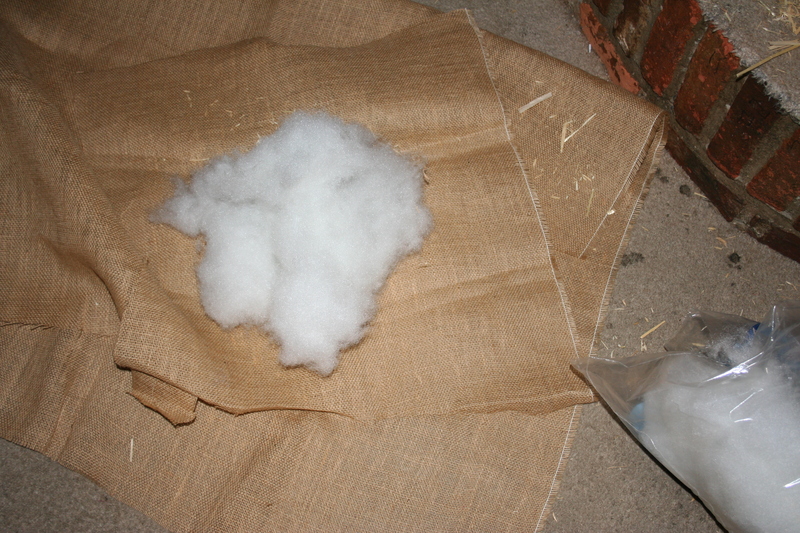 Then I took an old ribbon spool and covered it with fabric to make a tiny table. I took a small wooden bowl (from the craft store) and glued beans in it. 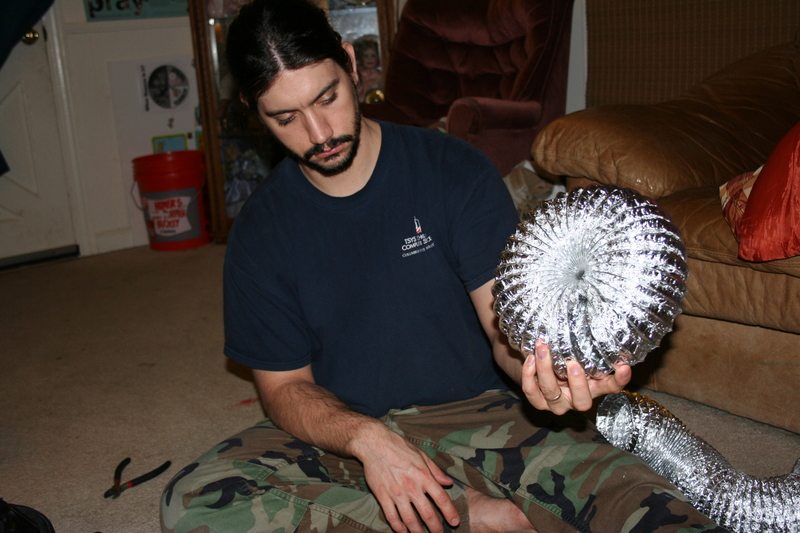 Then I glued the bowl to the table. I made a tiny banner of paper and glued it across the front. 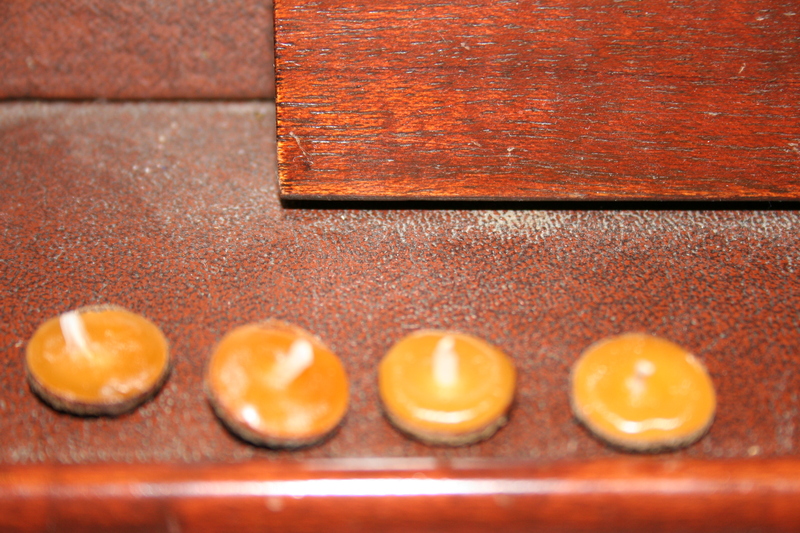 I glued bows on each side. Inside are two peg dolls: a squirrel and an owl. The little barrels are from the craft store too. 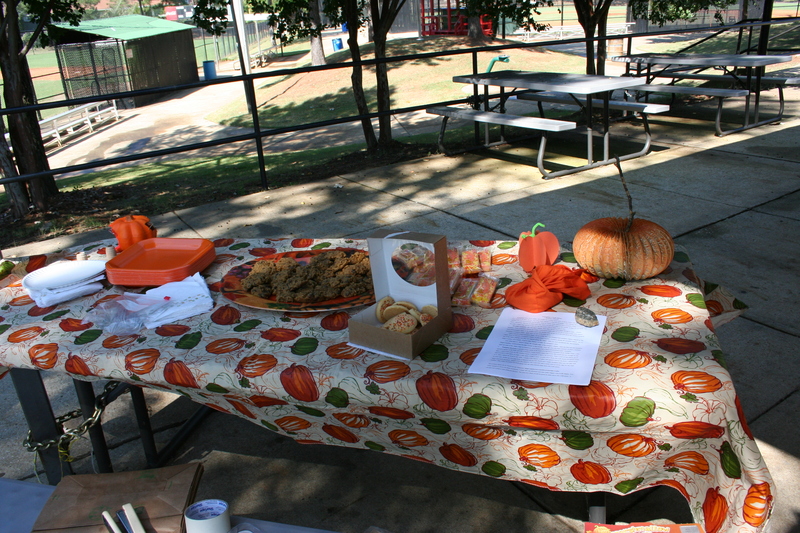 At the homeschool group, we had a pumpkin/Sukkot celebration at the park. I asked everyone to bring fall desserts. I showed the moms my three pumpkin crafts above. 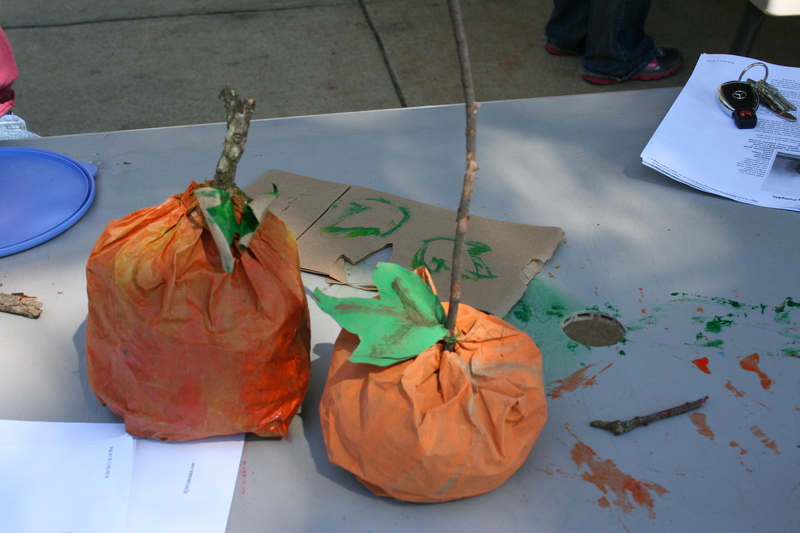 I made this pumpkin toss out of cardboard. The pumpkins are supposed to look friendly but I had a hard time cutting the cardboard. 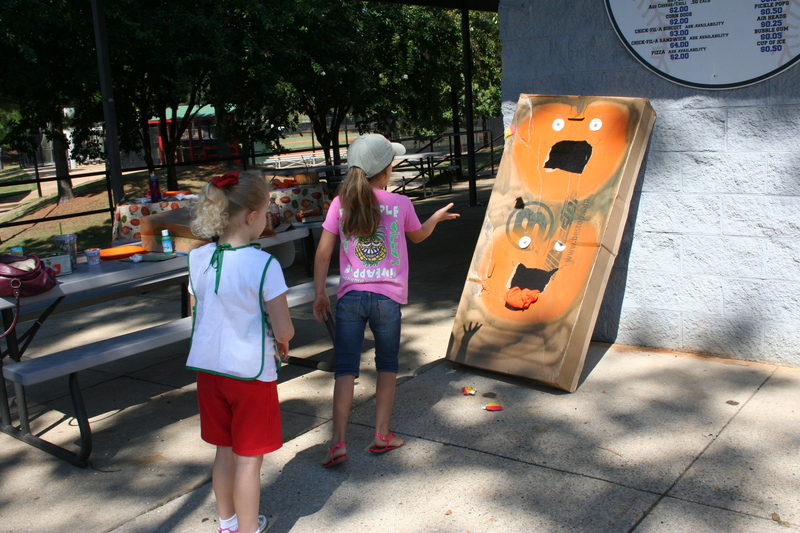 After lunch the kids played pumpkin toss. My homemade bean bags came apart after awhile but thankfully Hannah had some bean bags in her van. 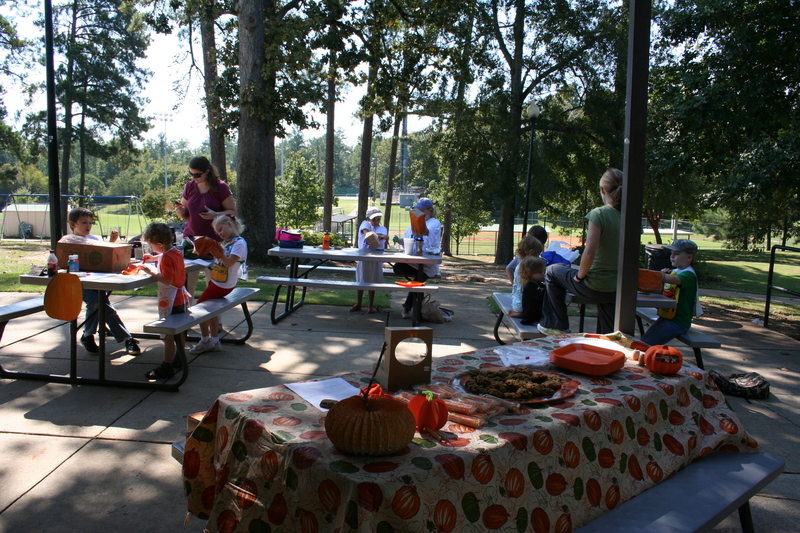 I spoke to the kids about Sukkot. 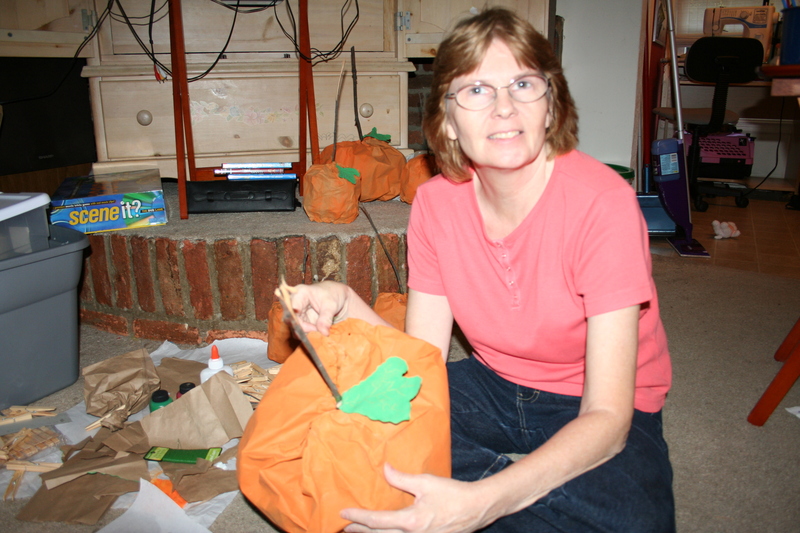 I showed the moms and kids how to make paper bag pumpkins. I did this last year too. Our pumpkin this year……not as orange as last year. Maybe I will make bigger pumpkins later. 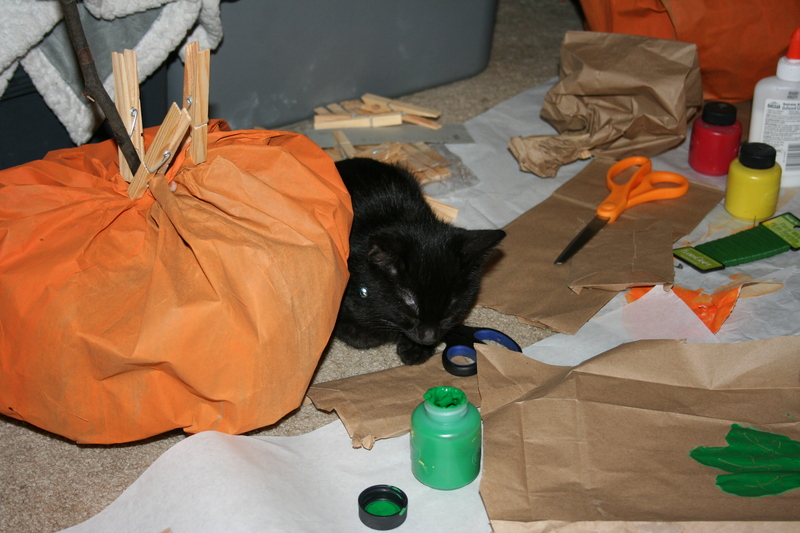 The kitty trying to help us. He was such a cute kitten! We have cable in the hotel and I was watching “The Munsters”. Chester looks just like the Munster black cat lol but he is WAY too sweet to ever roar like a lion ;). Btw it is freezing up here in Helen but amazing. 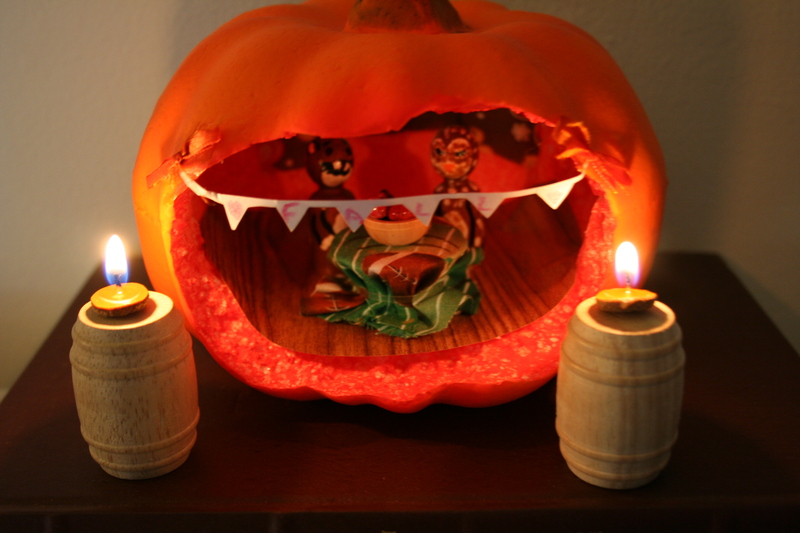 If you try any of these crafts or have your own pumpkin ideas please share in the comments :).